Theresa Richard is a speech-language pathologist in Henderson, NV. Practice Type: • Self-Employed Practice Areas: • Speech Language Pathology • Swallowing disorders Take the next step and contact Theresa Richard for a consultation in Henderson, NV or to get more information. Alisha Verchick is a speech-language pathologist in Las Vegas, NV. Practice Type: • School Practice Areas: • Speech Language Pathology • Speech Therapy Take the next step and contact Alisha Verchick for a consultation in Las Vegas, NV or to get more information. Patricia Hipolito is a speech-language pathologist in Las Vegas, NV. Practice Type: • Private Physician's Office Practice Areas: • Speech Language Pathology • Orofacial Myofunctional Disorders Take the next step and contact Patricia Hipolito for a consultation in Las Vegas, NV or to get more information. Renee Charest is a speech-language pathologist in Las Vegas, NV. 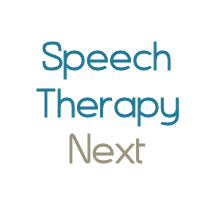 Practice Type: • School Practice Areas: • Speech Language Pathology • Aural (re)habilitation Take the next step and contact Renee Charest for a consultation in Las Vegas, NV or to get more information. Jennifer Scarchilli is a speech-language pathologist in Las Vegas, NV. Practice Type: • School Practice Areas: • Speech Language Pathology • Autism • Language acquisition disorders • SLP developmental disabilities Take the next step and contact Jennifer Scarchilli for a consultation in Las Vegas, NV or to get more information.